Ernest Charles Webb was born in Chelmsford and raised in the Moulsham area of the town. He worked as an office boy before joining the army. He was killed in action in France in March 1918. Prior to the war he lived in Queen Street. He was killed in France on 21st March 1918 while serving as Private 242018 in the 5th Battalion of the Border Regiment. He has no known grave and is commemorated by the Pozieres Memorial, Somme, France, some six kilometres north-east of Albert. The Memorial commemorates over 14,000 casualties of the United Kingdom and 300 of the South African Forces who have no known grave and who died on the Somme from 21st March to 7th August 1918 when the Allies were driven back by the Germans. 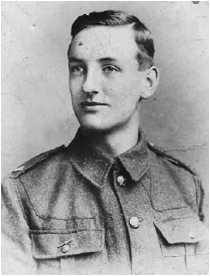 Ernest is also commemorated on the Civic Centre Memorial, Chelmsford, and the Moulsham Parish Memorial, St John’s Church, Moulsham. He was entitled to the British War Medal and Victory Medal. The Bakers were still at 10 Queen Street in 1918. Ernest was born in Chelmsford on 13th March 1897, the son of Rosa Webb. He was baptised at St. John’s Church, Moulsham on 7th April 1897, when his mother’s address was 3 Noah’s Ark off Queen Street, Chelmsford. Ernest was educated at Moulsham Infants School in Moulsham Street, Chelmsford from 3rd September 1900, at which point he lived at 10 Queen Street. He left the school on 23rd December 1903. The 1901 census had found four year-old Ernest in the household of Charles and Eliza Baker in Queen Street where he was described as a ‘friend’ of Charles. The Bakers had both been married previously and had children from those marriages, but none together. It is possible that Ernest had been adopted by them. The 1901 census had also recorded Ernest’s mother, aged 28, working as a cook for a middle aged spinster in Forest Row, Sussex. employed as an office boy for an electrical engineer’s. 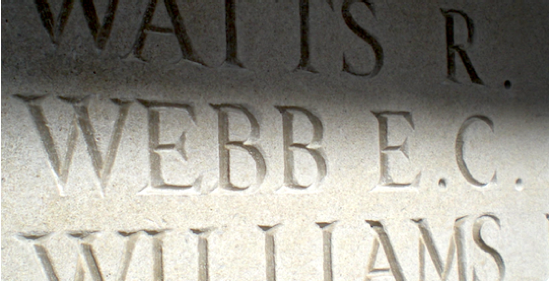 Ernest enlisted at Chelmsford and saw service as 6162 in the Essex Regiment, then as 5628 in the Border Regiment.